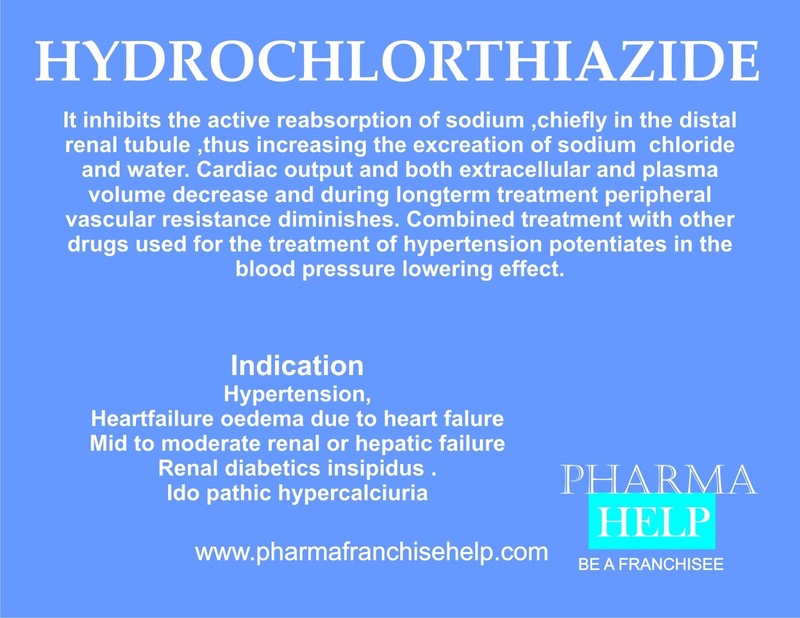 It inhibits the active reabsorption of sodium ,chiefly in the distal renal tubule ,thus increasing the excreation of sodium chloride and water. Cardiac output and both extracellular and plasma volume decrease and during long term treatment peripheral vascular resistance diminishes. Combined treatment with other drugs used for the treatment of hypertension potentiates in the blood pressure lowering effect. Mid to moderate renal or hepatic failure .